The lawsuit filed in Delaware Chancery Court accused Papa John's of breaching its fiduciary duties when it asked him to resign after reports that he used a racial slur during a meeting, stating "either the purportedly independent directors acted without adequate information ... or [they] planned this coup in advance." "Mr. Schnatter is entitled to determine whether his fellow directors have been grossly negligent or are acting in bad faith, or both," the lawsuit stated. [post_ads]Schnatter's lawyers said he is seeking the right to inspect company documents "because of the unexplained and heavy-handed way in which the company has treated him since the publication of a story that falsely accused him of using a racial slur." He said the company refused to correct "misreported stories" about his comments during the May conference call and requested he step down as CEO after prior comments he made, blaming poor pizza sales on the company's affiliation with the NFL. "Instead of standing behind the founder and working with news media to explain what actually occurred, the Company followed its usual, and flawed, manner of dealing with false and mistaken reporting as to comments made by Mr. Schnatter," the lawsuit stated. Papa John's spokesman Peter Collins said the company would provide Schattner with the documents he "is entitled to as a director." "We are saddened and disappointed that John Schnatter has filed a needless and wasteful lawsuit in an attempt to distract from his own words and actions," Collins said. "We will not let his numerous misstatements in the complaint and elsewhere distract us from the important work we are doing to move the business forward for our 120,000 corporate and franchise team members, and our franchisees, customers and stakeholders." Schnatter resigned on July 12, but remains a member of the company's board and owns 29 percent of Papa John's stock. 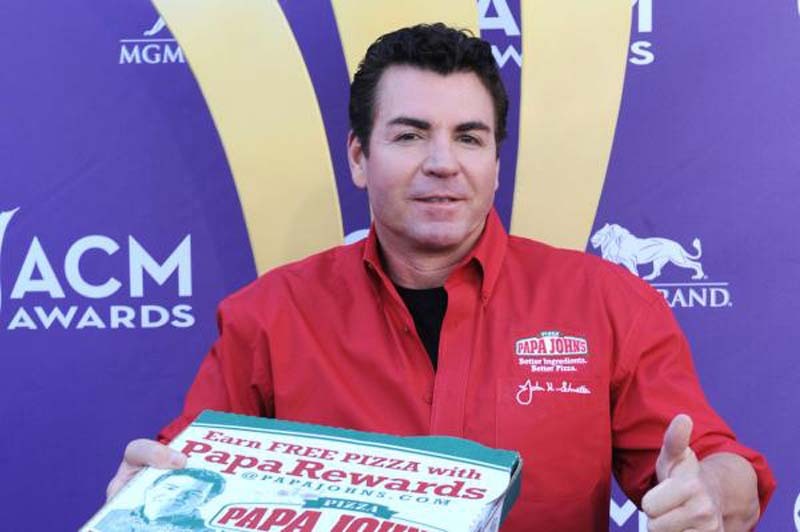 Papa John's has since removed Schnatter from its advertising materials and approved a plan to introduce a so-called "poison pill" provision to prevent him from gaining more control of the company.